Scenes from a horrific street racing crash that left one man dead and two other pedestrians in hospital. 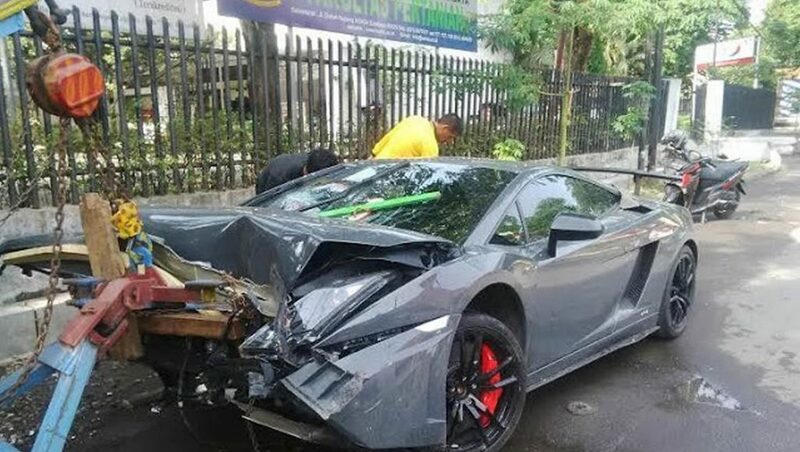 Report states that two young men were racing their supercars Down a busy and crowded street in Surabaya, East Java, Indonesia. 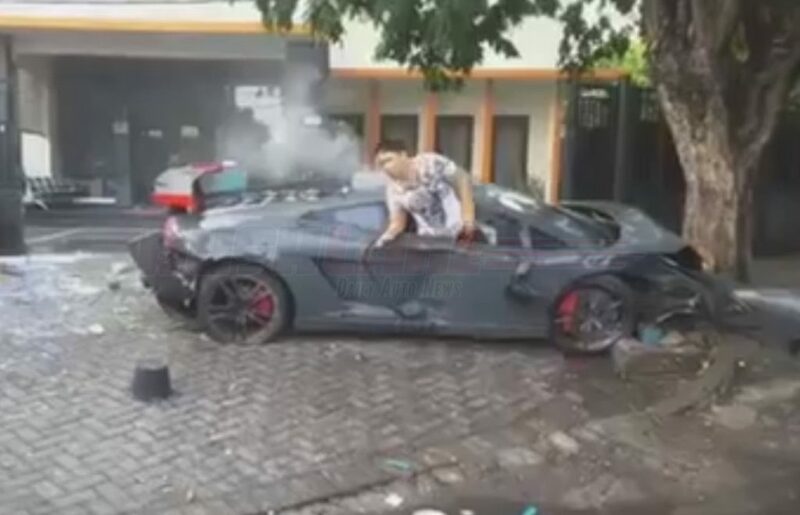 24-year-olds Wiyang Lautner was behind the wheel of his Lamborghini Gallardo when he lost control while racing another man’s Ferrari when Wiyang Lautner Gallardo spun off the road and into a busy sidewalk area. The three people were unfortunately to close the supercar when Wiyang Lautner lost control. After the crash onlookers and rubberneckers gathered around to see what happened. 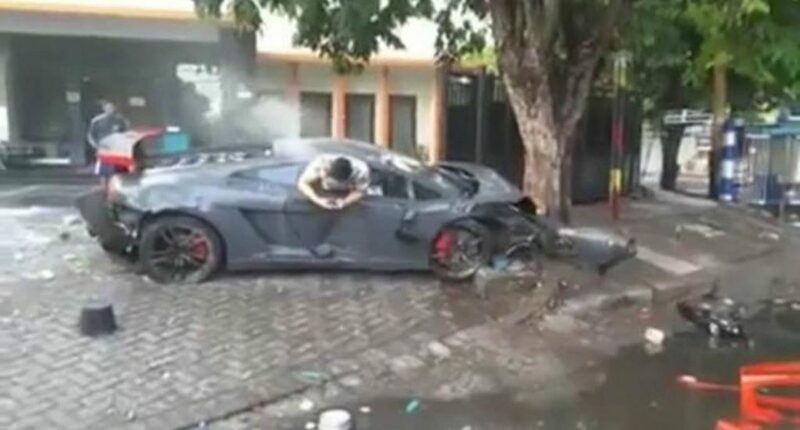 People decided to turn on their cameras and caught the driver of the destroyed Lamborghini Gallardo trying to climb out of his crashed supercar. The surviving victims of the supercar crash suffered broken legs and various scrapes coupled with heavy bruising.